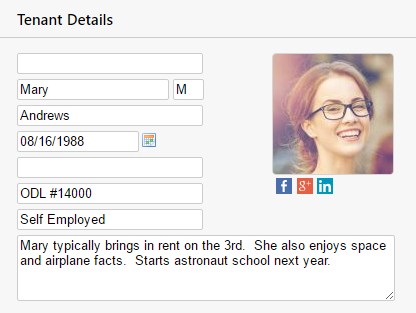 This week’s system update adds new functionality to let you upload pictures of your tenants to the system. To add or change a tenant’s picture, simply edit the tenant and click on the thumbnail image (top-right) of the edit panel. Don’t have a picture? No problem! There’s a good chance your tenant has a social account. Rentec has integrated with Facebook, Google+, LinkedIn, and Twitter to automatically display the profile picture from the tenant’s social media account, which is already publicly shared with the world. This information comes from their email address, so be sure to have a valid email address on file. There’s more! If your tenant has a social account tied to their email address, right under their picture you will see small social icons. Each of these, when clicked, will open a new tab in your browser to their social account. In an ever more connected world, and with more social usage than ever in history, this provides you a simple way to help keep you connected to your tenants. 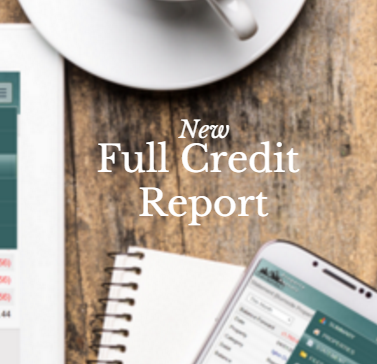 Once updated, your Tenant Tab will be filled with photos of your current tenants, helping you put a face to the name of your renters and personalize your manager-renter relationships. Pro Tip: Need to flag a tenant so it stands out to you and all your staff? Maybe the tenant is undergoing eviction. 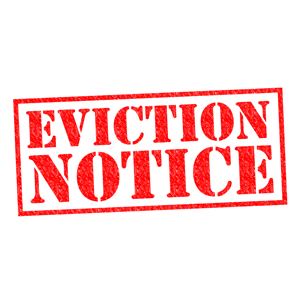 Upload an image like this eviction notice as the tenant image and they will have an unmistakable eviction sticker next to their name on your tenant list. Not interested in the social data and pictures? We also added an advanced feature (Settings, Program Defaults, Advanced Settings) where you can turn all the social data off. Why don’t you tie this to Rental Applications? This information would be much more helpful BEFORE placing a new tenant. Excellent idea and we agree! Rental applications and prospects are next! I really like this idea Nathan. When, if at all, can we expect the mobile friendly version of the landlord site? Hi Brian, Thanks for the feedback! We’re making steady progress on making all the portals mobile friendly (https://www.rentecdirect.com/blog/2016/05/mobile-friendly-tenant-portal-new-feature/ & https://www.rentecdirect.com/blog/2016/04/responsive-owner-portal-new-feature/). Those are two major updates we did just this year. We also recently began providing free websites to landlords and property managers (https://www.rentecdirect.com/blog/2016/04/free-professional-website-for-property-managers/) which are mobile friendly as are all the listing pages on those sites. The portals and these websites are used the most frequently by mobile devices (about 70% compared to about 3% for the landlord tools) so we have put a lot of focus on those and they are done now! As we design new pages in the system, we are always keeping mobile compatibility in mind. 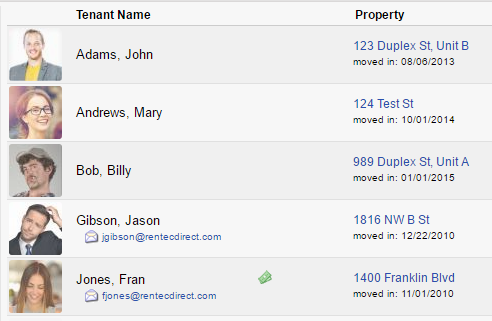 You might notice the re-designed edit tenant page that we silently released about 2 weeks ago. It was designed that way to help facilitate a move to a responsive design in the future. I do not see the new Facebook option. Also a note for users of phones. Download Puffin and you can use any web page on a phone easy peasy. If you add or edit a tenant, just put in their email address. 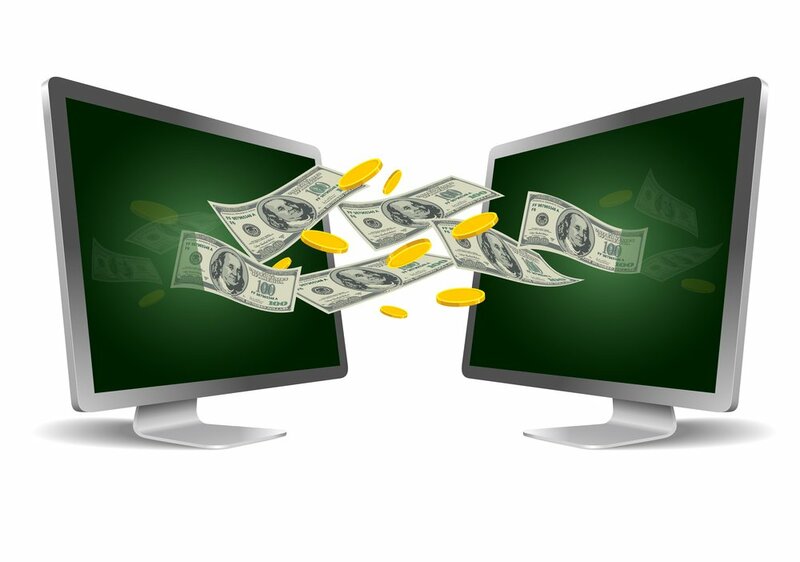 The system will automatically search for that email profile on the various social networks. It will download a picture if one is publicly available and it will show all the linked social accounts right below the picture. If you put in an email and it doesn’t pull up anything, it just means the tenant has their information set private, or their account is too new to pull up. Excellent idea! This information would be much more helpful in screen your prospective tenants carefully.